The new National Curriculum for maths aims to develop children’s fluency in the fundamentals of mathematics, solve problems and reason mathematically. At Newburn Manor Primary School we aim to provide a stimulating environment that allows pupils to develop mathematically, enjoying their learning and reaching their full potential. Pupils will have the opportunity to investigate in maths and be curious. Investigative opportunities will be interwoven into everyday mathematics lessons. Pupils will deepen their learning through applying skills and knowledge independently to a range of different contexts. In Key Stage 1 pupils will develop confidence and mental fluency with whole numbers, counting and place value. Pupils will work with numerals, words and the four operations with the use of practical resources. By the end of Key Stage 1 pupils should know the number bonds to 20 and have a clear understanding of place value. In Key Stage 2 pupils will extend their understanding of the number system and place value to include larger integers. Pupils will develop their ability to solve a wide range of problems. By the end of Key Stage 2 should be fluent in written methods for all 4 operations, including long multiplication and division and in working with fractions, decimals and percentages. Within our Maths lessons we incorporate 'Big Maths'. 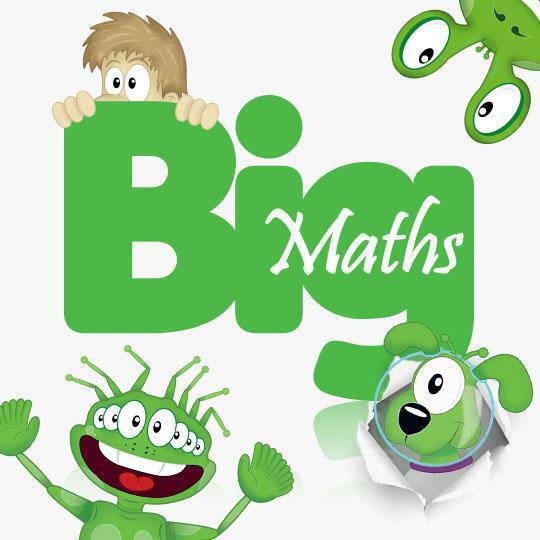 Big Maths is a teaching method created by Ben Harding that makes progress in Maths easy and fun for both children and teachers. Schools up and down the United Kingdom and abroad now learn through Big Maths every day and take part in the ‘Big Maths, Beat That!’ challenge every week. Big Maths therefore, provides a rigorous, systematic and structured approach that gives Newburn Manor Primary instantaneous organisation and alignment. The CLIC resources provide progression at a glance as well as progression in detail. This empowers all adults in our school to easily and accurately intervene and plug gaps where necessary, and to prevent future gaps from developing as all children make their way through the system with the necessary pre-requisite skills to meet new learning with further success and confidence. It provides children with a fun and lively experience as they learn with jingles, songs, games and the famous Big Maths Characters. Learn Its – Learn Its are 72 number facts which are learnt throughout the years from Reception to Year 4. They are split across the different terms so that each class works on a few Learn Its at a time, to ensure they are fully embedded. 36 are addition facts and 36 are multiplication facts; these are learnt in class and practiced at home and are tested once a week in school through the ‘Big Maths Beat That!’ Challenge. It’s Nothing New – Children use a bank of facts and methods that they already have, to solve problems and that each step of progress is very small; children will use and apply their skills and methods to a range of different situations and problems. ‘Big Maths Beat That!’ – timed challenge where children answer ‘Learn Its’ questions. The aim is to beat their previous score. CLIC test – 10 questions relating to concepts taught at children’s individual level throughout the daily CLIC lessons. Once they have got 10 out of 10, three weeks in a row, they move onto the next level. At Newburn Manor Primary School we are using White Rose Maths Hub schemes of learning to support our planning. have number at their heart. A large proportion of time is spent reinforcing number tot build competency. Ensure teachers stay in the required key stage and support the ideal of depth before breadth. Ensure pupils have the opportunity to stay together as they work through the schemes as a whole group. Provide plenty of opportunities to build reasoning and problem solving elements into the curriculum.